NATIONAL CONVETION OF CENTRAL & STATE GOVT EMPLOYEES, UNIVERISTY COLLEGE TEACHERS & SCHOOL TEACHERS CALLS FOR STRIKE ON 20TH AUGUST 2008:The Joint Convention of Central and State Government Employees, University College Teachers and School Teachers held at Shah Auditorium at Delhi on 8th July 2008 decided to mobilise employees and teachers for a one day strike on 20th August 2008 against the anti-people economic policies of the government and the sky-rocketing price rise. On behalf of our Federation, President Com.Radhakrishna participated in the Convention of Central and State Government Employees’ jointly organized by the Confederation of Central Government Employees & Workers’ and All India State Govt Employees’ Federation on 8th July , 2008. Com Rajesh Menon, Secretary General Confederation of Central Govt Gazetted Officers Organisations also attended the convention as an invitee. The convention unanimously decided to join the General strike of workers on 20th August 2008 being organized by the sponsoring committee of Central Trade Unions including Bank, LIC, and Public Sector etc. Com Rajesh Menon addressing the Convention declared that all efforts will be made to organize Gazetted Officers Organisations to join the strike. Com Radhakrishna while addressing the convention assured that the members of our Federation will join the strike on 20th August and will also serve strike notice on 4th August along with other organizations. 1. 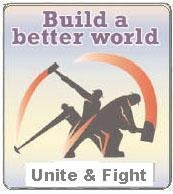 Joint Conventions at States/District/Industrial centres to be completed by 15th July,2008. 2. Massive demonstration/mobilization/dharna in all the states and Industrial centres on 30th July, 2008. 3. Serving of strike notice through demonstration on 4th August, 2008. 4. One day Strike on 20th August 2008. It is requested that all our affiliated units should start effective campaign for the successful implementation of the strike on 20th August 2008. The Declaration of the Convention is already posted. ON 6th Central Pay Commission Rumours are flying thick and Head Quarter is flooded with enquiries on Committee of Secretaries’ report on 6th Central Pay Commission. It is understood that it may be submitted to Government around 20th July 2008. The chances of core issues raised by the employees and officers being addressed are remote. Rather the govt. may go for cosmetic changes that will not benefit our cadre much. Our President met Asst.Comptroller & Auditor General (N) and other Officers in Comptroller & Auditor General’s Office and discussed certain important issues. In respect of Pay Scales of our cadres, the Asst.Comptroller& Auditor General (N) informed that the Department has presented before the Committee of Secretaries that the Pay Commission recommendation of merging of AAO and AO cadre should be annulled and that the Pay Scale of SAO should not be less than that of Under Secretary. A presentation has also been made before the Cabinet Secretary on the subject. It is further informed that the files regarding anomaly, our proposed amendments to the Constitution are still under process. 33rd Conference of All India Accounts and Audit Officers Association: (Dates Changed)The 33rd Conference of our Association is going to be held for 3 days from 28th to 30th August at the Orange City of Nagpur The venue of the Conference will be Sugandha Mangal Karyalaya, Opp to Bhagawagarh Park, Ajit Bakery road Dharampeth, Nagpur .No doubt, it is our conference to be held once in two years to talk about us, think about us, decide the future course of action to improve our working environment, living conditions and about our department. It is requested that all the affiliated units should send their respective delegates to the conference without fail.